That's about the only way to describe the hot debates, or, as Patty S put it, 'verbal passion', on a wide variety of subjects on the AERC forums, and Ridecamp this past week. • I already won these awards, and paid for them through AERC dues, training my horse, gas to rides, entry fees, etc, so why should I pay again? • fun rides? - Holy cow! Are you guys going to share the drugs? • we want you! welcome to our organization! we hope you one day work up to riding 100 miles! I *think* that about sums everything up for now. and the math doesn't add up anyway! One thing I am sure we all can agree on, is that we at least love the riding part of endurance riding, or to be politically correct, endurance riding and non-endurance riding. But then, I might be quite wrong about that, too! So, please excuse me while I go Hug My Horse. **I am well aware this could start a whole new raging controversy, but in this case, I know I am 100% right with this indisputable fact, and the rest of you claiming that you own such a horse will be 100% wrong. But no offense taken! Folks are currently hotly debating many topics on the AERC forum and Ridecamp on ways to save AERC money, including budget cuts and expanding membership. I'll create a few polls people can take. "Would you be willing to pay for your year-end AERC awards, such as jackets, vests, blankets?" so far runs 68% yes, and 32% no. Some of those opposed are rather fiercely so, and have left some very good, thought-provoking comments. The poll will continue - take it if you haven't, and feel free to leave your own comments. Now let's look at another way of cutting costs: weight divisions. To be sure, it would be a small expense reduced, but it's an expense to consider nonetheless, if that's the way we choose to start trimming the AERC budget. Currently, not counting the Junior division which, in my opinion, should always exist, there are 4 weight divisions: featherweight, lightweight, middleweight, and heavyweight. Cutting one of those divisions would make it harder for some people to get the year-end points and awards. (For example, eliminating one weight division over 9 regions, where first through tenth place are awarded - if there are that many riders in the standings - would eliminate roughly* 90 year-end awards). 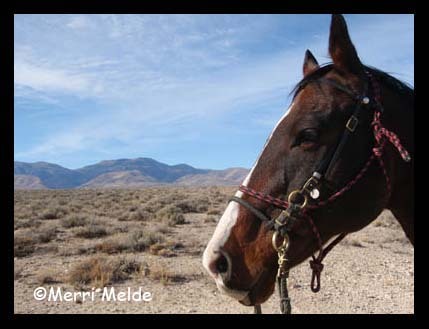 It would appear from discussions on the AERC members forum that the endurance riding organization as we knew it is in trouble - increasing operating costs, decreasing membership. A couple of interesting ideas are being discussed, one of which is year-end awards. I won my first-ever year-end award in 2011, a vest for 2nd place in the lightweight division my region for mileage and points on Steph's horse Jose. It's a lovely vest from Cabela's, personalized with my name and Jose's name, and the award, and the AERC logo embroidered on it. For me the award was quite a thrill, as it brings to mind the many miles I spent on a cool horse doing the sport I love. But it also brought to mind the fact that there were approximately 360 of these mileage vests handed out - for 9 regions, 4 divisions in each region, ten placings in each division. And these awards are not the only one AERC gives out yearly. I don't know the amount spent on year-end awards, but it must be significant. 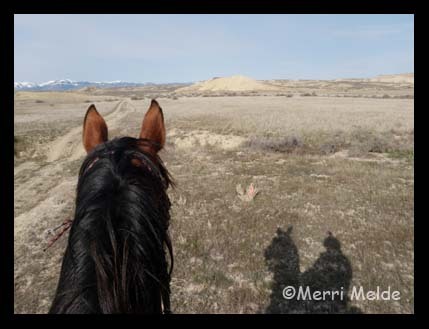 One person suggested following the Western States Trail Ride (Tevis) method of receiving a certificate for your accomplishment, and earning the right to purchase your award. This might put awards in a different light - good or bad. Receiving a first-award-ever must be thrilling for anybody. Endurance riders who regularly win awards every year might not be as thrilled with their 20th vest as much as their first one. It would certainly save AERC money if this happened. But is it AERC's responsibility to pay for the awards they created and hand out every year? Would you pay for your own year-end award? It's something that hadn't been tried before: one 100-mile race pitting the best against the best, to see who's best. It's how Olympians are picked, pointed out head veterinarian Dwight Hooten, so it seemed like a logical method to choose the 2012 US Endurance team. And while the finish rate of 40% was on par for an FEI international event, the results were at the same time predictable, disappointing, surprising, pleasing. Chef d'Equipe Emmett Ross wanted to see speed, and better yet, negative splits (riding the last loops faster than the first loops), and above all, managing horses well throughout the ride. On a hot, humid day, on a deceptively challenging course, Ross saw it all: the good, the bad, and the unlucky. Former World Endurance Champion Valerie Kanavy came to Mt Pleasant, Texas, the site of the USA Team Trial, with three horses and high hopes, and ended up with one finisher (proxy rider Wendy MacCoubrey on Reach for the Gold) and a broken rib (her own). Valerie's mount, My Wild Irish Gold, spooked on the first loop and dumped her. Seemingly fine, Valerie remounted after Jeremy Reynolds, riding A Kutt Above, caught her horse and helped her back on, but she came off again, and ended up going to the hospital with a possible concussion and broken ribs. "I should have used a stronger bit on that horse," Valerie said. "She was much stronger than usual!" Valerie was back at base camp later in the day, helping crew Wendy and Reach for the Gold to a second place finish. International rider John Crandell and his super horse Heraldic (2-time Tevis winner, 2-time Old Dominion winner, 2-time AERC National Championship winner, silver medal winner in the 2011 Pan American Championships) disappointed early when Heraldic stepped in a hole with a hind leg on course during loop 2. "He was off behind for about 30 yards before he worked out of it. He was fine the rest of the loop, and he passed the vet check, but I didn't feel right about continuing. He doesn't owe me anything, and I don't have anything to prove." One can consistently expect Heather and Jeremy Reynolds to show up at a race with good horses and finish in the top ten - and they did just that here again. Jeremy finished first on A Kutt Above in 8 hours 16 minutes, and Heather finished fourth on Riverwatch. Former World Endurance Champion Becky Hart showed she's back on the international stage with a third place finish on a good horse, No Repeat. The performance of Nicki Meuten and her three horses is not surprising for those who have seen her in action in the Southeast region. Three of Nicki's horses finished in the top eleven positions: Nicki was 5th on Not Tonight; Kim Tilson was 8th on FYF Dutch, and Amy Whelan finished 11th on Fury. No stranger to national competition, Nicki has over 10,000 AERC endurance miles. In 2010, Nicki and Not Tonight finished 2nd in the AERC 100-mile National Championship by 20 minutes to Valerie Kanavy on her outstanding horse Spectacular Gold. Not Tonight is now 9 for 9 in 100 mile rides and has 6 Best Condition awards; FYF Dutch is 4 for 4 in 100-mile rides with 2 Best Conditions, and Fury, over his 4000-mile career, has 4 Best Conditions, and is 17 for 22 in 100-mile rides. A relative newcomer to international riding is Cody Boysen of Iowa and Florida. With just 1860 AERC miles, Cody partnered with Roxy Welling's Viktory Banner in the 2012 season to win the 50-mile Goethe Challenge, the 75-mile DuPuis Piney Pig (and the Best Condition award), and to finish 6th here in the USA Team Trial. It was Viktory's 27th finish in 27 starts, her first 100-mile ride, and Cody's first 100-mile finish. The number of entrants was reduced to 45 starters from 49 hopefuls when 4 horses vetted in lame on Friday. All of those riders stuck around on Saturday to help crew for other riders. The ride got off to an orderly start at 7 AM on Saturday with 45 starters. Temperature was about 75 degrees and the humidity 100% - you could see the moisture in the air. It wasn't long into the 34-km first loop when basecamp got word of a rider down - which turned out to be Valerie Kanavy. The field was closely grouped together as they came in off the first loop, giving the in-timers a good workout when 11 horses, then 8 horses arrived with the same in-time. All timing was done by hand and appeared to flow pretty smoothly all day. By the time the first two loops were completed (a total of 64 kilometers) 15 horses had been pulled for lameness (a couple were from cramping in the hind end), and the weather became more challenging. The humidity dropped to 45% but the temperature rose to the mid-80's, and all trace of a breeze disappeared. Some crews had thought to rent ice machines for the ride so they continually had copious amounts of ice to put in their water buckets; other crews were running to Walmart cleaning out the freezers of bags of ice, which melted quickly in buckets sitting in the hot sun in the crewing area. The ultimate top finishers ran consistently at the front all day. Becky Hart's No Repeat had outstanding heart rate recoveries throughout the day - Pete pulsed down in under 3 minutes the first three loops. "It's great to have a horse that makes it all up in the vet checks," crew member Brian Reeves said. It consistently kept Pete leaving on the loops in the top three all day, all except for leaving loop 2 in a close sixth place. Six more horses were eliminated after the 19-km loop 3, and 6 more fell out after the 27-km loop 4, which left any remaining finishers in the top 20 - which would automatically put them on the Long List for the USA Team. Late afternoon a breeze picked up and the temperature dropped to the low 80's. Jeremy Reynolds and A Kutt Above led the field out on loop 4, 33 seconds ahead of Becky Hart and No Repeat. Wendy MacCoubrey and Reach for the Gold were in third just over 2 minutes behind, followed by Heather Reynolds and Riverwatch another 7 minutes back. The remaining field was well spread out now, with Young Rider McCamey Kimbler bringing up the rear almost 90 minutes behind on Elliptic, owned by Samantha Sandler and trained by Jeremy Olson. It was her first ride on the horse. McCamey's sister (and also Young Rider) Kelsey was faring well on her own horse Cody Canuck, 25 minutes ahead of McCamey. A race-off for the finish was anticipated by some, but rumor had it the top three within striking distance - Jeremy, Wendy, and Becky - had decided ahead of time not to race for it. There was no need, as their horses had performed outstandingly all day and were looking at an 8-hour 100-mile finish time as long as they had a sound horse at the final vet check. All three riders were close together as they cantered across the line, Jeremy and A Kutt Above a length ahead of Wendy and Reach for the Gold, a few seconds ahead of Becky and No Repeat. Heather Reynolds and Riverwatch crossed the finish line 25 minutes later. A Kutt Above is one of only two USA horses to have done a sub-7 hour 100 miler - in the July 30, 2011 Patriot's Day, where he finished second, in a time of 6:54, to Lindsay Graham and Monk, who finished in 6:53. Today's ride appeared to be easy for A Kutt Above. Monk was one of the unlucky ones today - he was pulled after loop 4 with a hind end lameness. Subsequent thermography showed a swelling in his groin area - Lindsay had felt him uncharacteristically tripping a little behind on the fourth loop. It was nothing serious, and something he should recover quickly from. Despite the pull, Lindsay and owner Chris Martin were very pleased with Monk's performance. Coming from California, Monk handled the humidity very well (he had a sub-3 minute pulse down at the 2nd vet check) and had been moving easily all day. Reach for the Gold, who finished with a ride time of 8:16.05, is now 20 for 22, with 3 100-mile starts and 3 finishes, and 2 Best Conditions. This was Wendy's first ride on the horse. Becky Hart was thrilled with No Repeat's performance and 3rd place finish in 8 hours 16 minutes 9 seconds. "Pete's awesome!" Becky effused. He's a 10-year-old Wiking son off the racetrack, with a 21 for 23 finish record, 4 of 5 100-mile completions, and 3 Best Conditions. He's got a good mind, and he's learning and getting better with every ride. Heather Reynolds finished on Riverwatch in 8:41.54. This was Riverwatch's 2nd 100-mile completion. His first was winning Tevis (and the Haggin Cup - Best Condition). Not bad for an 8-year-old gelding with an 11 for 13 record, and 3 Best Conditions. "He's fun to ride," Heather said. "He can be spooky, but he's very rate-able, very smooth." Deborah Reich was unable to ride due to an injury, so Amy Atkins rode her horse DJB Juniper to finish in 8th place in 9:41.35. Deborah and Juniper were one of the two US finishers (18th place) in the 2010 World Endurance Championships in Kentucky, and she and Pandor finished 10th in the 2011 Pan American Championships in Chile. Juniper has a 19 for 20 completion record with 8 Best Conditions, and is 5 for 5 in 100-mile rides. The mare was previously owned by Darolyn Butler. Ellen Olson and SA Belshazzar finished in 9th in 9:48.05. The Shagya gelding was the extra on the USA Team for the 2010 World Endurance Championship in Kentucky. The horse is now 13 for 15, with 3 of 5 100-mile rides completed, and 3 Best Conditions. His previous finish was a first place and BC at the 100-mile Goethe Challenge in December. Ellen had a great ride, like she always seems to do. "He moves so easy. He pulled my arms out of their sockets for only the first three loops," she laughed. "He's a great horse." Melody Blittersdorf finished 10th on Synthetic, who's now 4 for 5 in 100-milers. Jan Worthington rode Serloki to a 13th place finish, and her horse Golden Lightning (Leon) finished 14th with Lisanne Dorion. The team of Jan and Leon are no strangers to World Endurance Championship rides. In the 2008 Malaysia World Endurance Championship, he and Jan were struck by lightning during the ride, finished the 100 miles then were pulled at the finish, and in 2010 in Kentucky, Leon was uncharacteristically pulled for lameness. At 12, Golden Lightning is still an outstanding horse in his prime, with almost 4000 AERC miles, 65 of 73 finishes, 16 of 21 AERC 100-mile finishes, 4 Best Conditions, and a finish in the President's Cup in Abu Dhabi in 2010. Terry Rashid and Keen Sweep, who finished 15th, were one of only 2 entries from California (Becky Hart and No Repeat were the other). Meg Sleeper and Syrocco Reveille finished 17th, while Jennifer Stevens rode Meg's Syrocco Cadence to 14th place. Meg's 3rd entry, Syrocco Harmony with rider Lynn Kennelly, was pulled after the 4th loop. Christina Kimmery finished 18th on Darolyn Butler's DJB Jolly Roger, and both Kimbler sisters finished the ride, Kelsey and Cody Canuck in 12th place, and McCamey and Elliptic in 19th place. It's interesting to note that 16 of the 19 finishers came from or last raced in Florida, where you can't get any hotter and more humid for an endurance ride. No Repeat (Becky Hart) came from California, Keen Sweep (Terri Rashid) came from Arizona, and Cody Canuck (Kelsey Kimbler) came from South Dakota. At the awards on Sunday, Emmett Ross summed it all up in one word: "Wow." The ride presented interesting challenges and exceptional results. He saw some hot shoes that faded, and some riders who didn't heed the warning to manage their horses well, but at the end of the day, he said, "I liked what I saw. I am humbled to be up here as your Chef. There are some good horses out there." One of those is certainly A Kutt Above, who won Best Condition. Some teams just stand out with their exceptional sportsmanship, and nobody more than Reynolds Racing. Heather and Jeremy Reynolds are always gracious and considerate, in the vet checks and out on trail. They'll thank you if you take the time to help dump one bucket of water on their horse in the vet check. Jeremy's Rescue Services are becoming legendary. In the 2011 AERC 100-mile National Championships, while running in the lead on A Kutt Above, he stopped on trail to help fellow competitor Lindsay Graham riding Monk fix her broken stirrup. In this Team Trial, he not only caught Valerie Kanavy's horse she she got loose, but he stopped to help Valerie get back on. And with just 5 minutes before his out-time on the 5th loop, while running in first place 29 seconds ahead of Becky Hart, he replaced a shoe on Terri Rashid's horse. The Reynolds' actions speak volumes of their comportment on the national and international stages. The 19 finishers received a spot on the Long List for the USA Team; and Emmett announced 2 of his 3 'Wild Cards.' One went to John Crandell and Heraldic. The other went to Deborah Reich, who could not be here riding, but whose horse DJB Juniper finished 7th with Amy Atkins. Emmett is not ready to reveal his third wild card for now. It's been 14 years since the US won a medal in the World Endurance Championships. Emmett Ross's singular goal is to earn a place on the podium at the 2012 World Endurance Championship in Great Britain on August 25th, "to show the world that American endurance is back." If Saturday's Team Trial is any indication, he is well on his way.